Fit everything you need for the day (or weekend) in one convenient custom backpack! Made Of 600D Polyester, this personalized deluxe backpack is loaded with pockets so you can easily separate and find items when needed. Measuring a generous 21” wide, this backpack has a double zippered main compartment so you can take several changes of clothes to get you through the week. 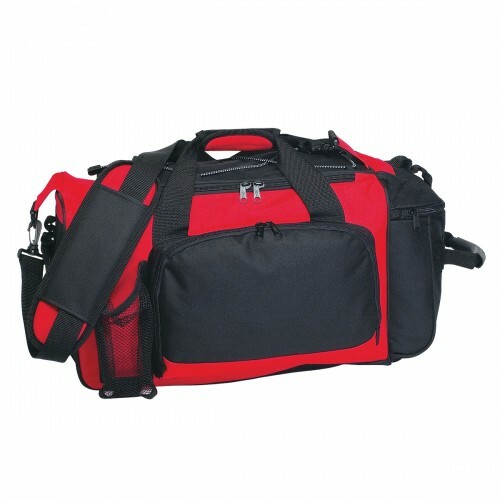 With the side double zippered shoe compartment you don’t have to give up clothing space to take change of shoes. 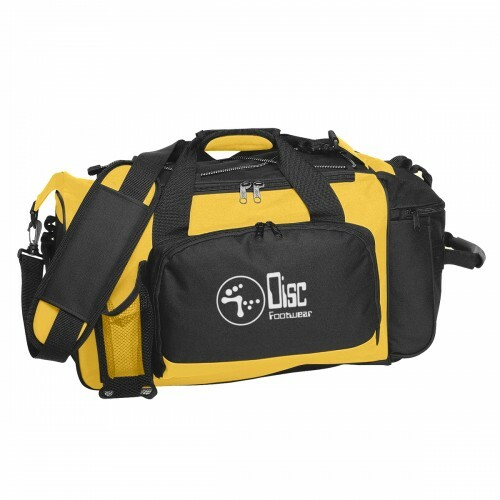 Additional storage includes a front double zippered pocket, side zippered pocket, side mesh pocket ideal for holding bottled water, and bungee cord storage on top. This custom imprint duffel bag offers carrying comfort with a detachable/adjustable padded shoulder strap and web carrying handles with a hook and loop closure, as well as side web pull handles with a comfort rubber grip. 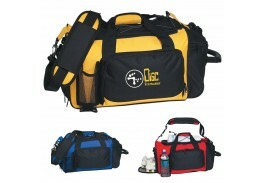 With a mesh closure for the circulation of air, this bag comes in Red, Royal Blue or Yellow, all with Black Trim. Easy to care for, simply spot clean and air dry to keep your tote looking great. 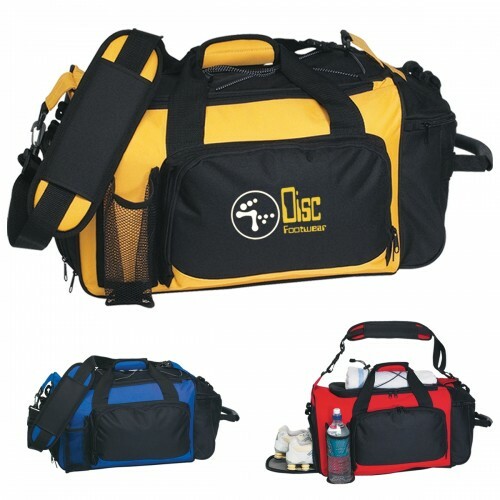 Colors: Red, Royal Blue or Yellow, all with Black Trim.